You are here: Home » News » News & Updates » Will Drones Soon be Able to Map the World in 3D? Will Drones Soon be Able to Map the World in 3D? 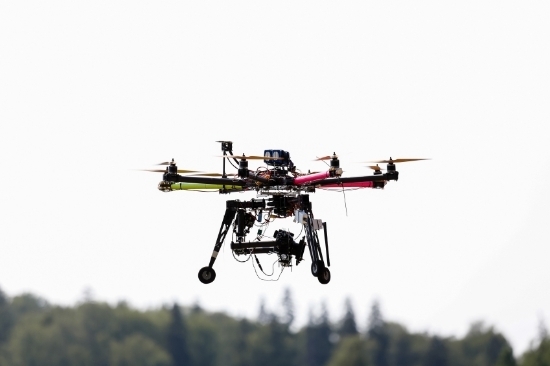 The issue of drones has always been a controversial subject. Some people are in favour of them; whilst others believe that they are dangerous and invade privacy. Whatever your opinion on these unmanned aerial vehicles, there is no denying that they fast becoming a popular and viable option for many industries. Most recently, it&apos;s been announced that these drones will soon be able to map the whole world – in 3D! They will be able to do this through using reality capture software, which is when technology is used to capture and document reality in the 3D form. How is this Reality Capture achieved? Reality capture is achieved through using laser scanning or photogrammetry. This is when a set of images that have been taken at multiple locations and angles, are stitched together to create one 3D model. The information that is gathered is then stored in point clouds – these contain millions of individual points of information. They are often huge files that can be very hard to manage – which is why a drone is needed. Bentley Systems are a company who specialise in software for the design, construction and operations of infrastructure. When they bought the 3D modelling company Acute3D, they utilised their plans to use their software: Smart3DCapture. This captures information in what is referred to as a reality mesh. This is built like a geometric engineering model, which means that it aligns itself with real-world context through photographs. It produces a form of photogrammetry that can generate 3D representations from photos taken with a digital camera. The software can scale its representations anywhere from one building to a whole city. This means there is a possibility of it being used for large-scale 3D mapping. So why is the drone needed? The drone will allow the technology to capture huge plots of land in a time efficient manner. These can then be used as observations of existing conditions for design and building information modelling – this will improve accuracy. The aim is to fit the drones with Leica&apos;s RCD30 Oblique camera to carry out urban mapping. They will also be fitted with Acute3D&apos;s ContextCapture software – producing high quality 3D models from photographs. This can all be carried out without any human interference. The reality capture drones will be capable of collecting information on a larger scale than ever before. In fact, they will be doing something that was previously referred to as being impossible. The portability of a drone, paired with the brilliant reality capture software, could be a valuable tool used to map the world. Here at European Springs, we are proud to be leading spring suppliers. Our products are used by a number of different industries, especially in engineering environments around the world. For more information on how our products could be useful for you, please contact us by ringing 0208 663 1800 and a member of our team will be happy to help.